Your customers have a keen eye for value. They are extremely price conscious and urgently need to keep the cost at their supplies to a bare minimum in order in survive and maintain their profit margins, When the economic climate is difficult, shaving costs can make the difference between survival and failure. That's why you need a supplier who will bend over backwards to give you a product you need are very competitive price. During our 25 years in business, we've developed strong alliances with the major OEM's. We buy in huge quantities at rock bottom prices. After quarter of a century of constant growth, our business has developed to the point where we run a very efficient operation. We have learned form decades of experience how to eliminate waste and keep our operating expenses to a minimum, while maintaining quality at a maximum. All this translates into great value for our customers. We pass our savings on to you, so you get low low prices. At the heart of every solid business relationship is service. You want a supplier who understands your needs, who will work with you to help your enterprise flourish, who values your business and does his utmost to earn your trust. We know our products thoroughly. We understand your market, and can advise you and help you find the products most suited for it. We're not rigid; we're flexible enough to accommodate ourselves to your requirements. We're big enough to supply your needs totally, quickly, and at minimum cost, yet small enough to give you the personalized attention you deserve. We're not after short-term profit. We cherish each of our customers, and strive mightily to earn their trust and develop a mutually profitable long-term relationship. Your customers rely on you to supply their needs, precisely, rapidly, completely and consistently. If they discover that you are not dependable, they'll forsake you in the blink of an eye and flock to your competitors. Particularly when economic conditions are tight and competition is fierce, you need a rock-solid, totally reliable source of supply, so that you can serve your customers efficiently and give them exactly what they want, when they want it. For most major fax and copiers, we supply a full line of toner cartridges, developers and drums. 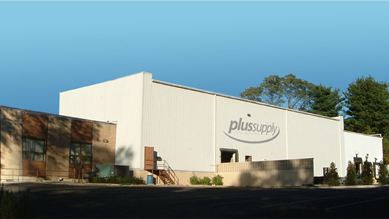 Our 60,000 sq.ft. state-of-the-art warehouse is stocked to the rafters with everything your customers need, therefore our fill rate is nearly 100%! Our stock is meticulously organized and our personnel are superbly trained, so that your orders are filled rapidly and efficiently, we routinely provide same day or next day service. Do you need supplies for older models? No problem! We've got those hard-to find items in stock! Or we'll find it.